Now, YA and I can be best described as two strange cats in the same room. We don’t always get along. I might be starting to sound like a broken record on that point though. Quite a few great YA books nowadays. Anyways. When Spellslinger quietly showed up on my radar though, I had no such reservations. 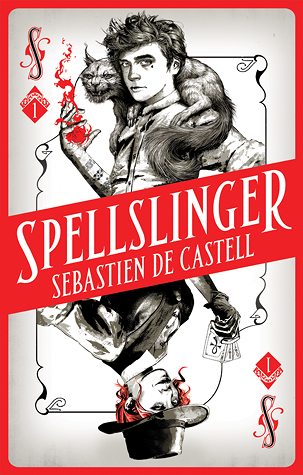 I love Sebastien de Castell’s writing that much and will give him the benefit of the doubt any day of the week, and I am very happy to say that he has once again delivered. 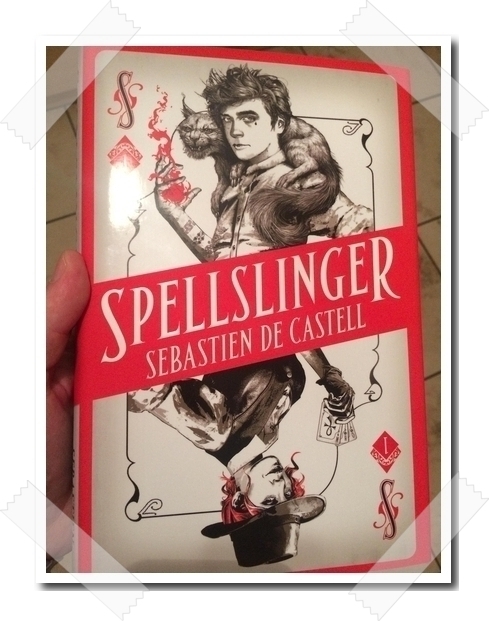 Spellslinger reads as a quick, fun, coming-of age fantasy that keeps up the pace and leaves you wanting more when the ending comes, all too soon. The story kicks off with a duel between two students of a magic school, with one of the duelists being Kellen, the protagonist of the story. Born of a powerful mother & father magician duo, and with a sibling seemingly destined to become one of the greatest mages of their time, Kellan is under huge pressure to discover his magic by sparking his bands and thus proving himself worthy of his family name. But the bands just won’t come to life. 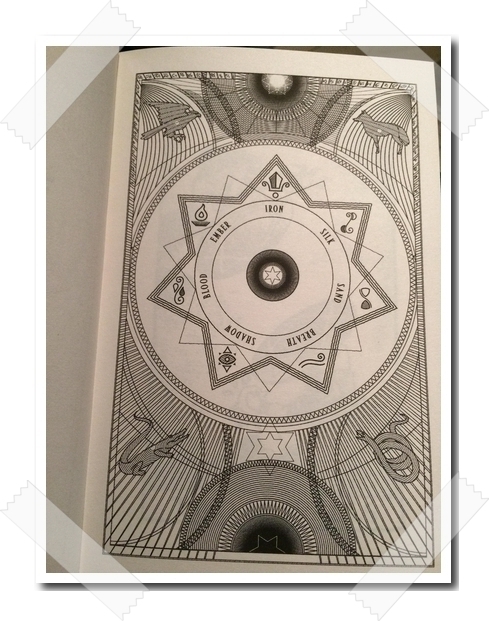 All children of the Jan’Tep are tattooed with six metallic bands at a very young age, which they will eventually spark, by breaking the bindings between the sigils. Sparking more bands is better, the most powerful mages have access to all six types of magic, but sparking even a single band is MUCH better than sparking none. There are seven fundamental sources of magical force, but Jan’Tep mages are banded with only six: iron, ember, silk, sand, blood and breath. No mage is ever banded with the seventh, because shadow is the magic of emptiness, of the void, of the demonic. Our ancient enemies, the Mahdek, drew upon shadow for their spells. That’s why the Mahdek are long dead. The duel Kellan is entered into is part of a greater challenge whereby young would-be mages attempt to earn their mage name in a series of trials, the duel being the first trial. There is a lot riding on his success, as the strength of a family’s magic is a key element of being a leader to the Jan’Tep, and Kellen’s father, being one of the most powerful mages, has a very valid chance of becoming the next ruler to his clan. He needs Kellan to prove himself though, as magic is EVERYTHING to these people. The pressure on Kellan to pass the trials is thus immense. As an added incentive, those failing to earn their mage name, are resigned to the status of Sha’Tep. Shunned by the community, forever an outcast, they live the life of a slave to their “betters”, the Jan’Tep. You could be a Jan’Tep’s sister, brother, mother, husband, girlfriend, best friend – if you become Sha’Tep, you are as good as dead to them. Unfortunate then for our protagonist, that he has almost no magic whatsoever. 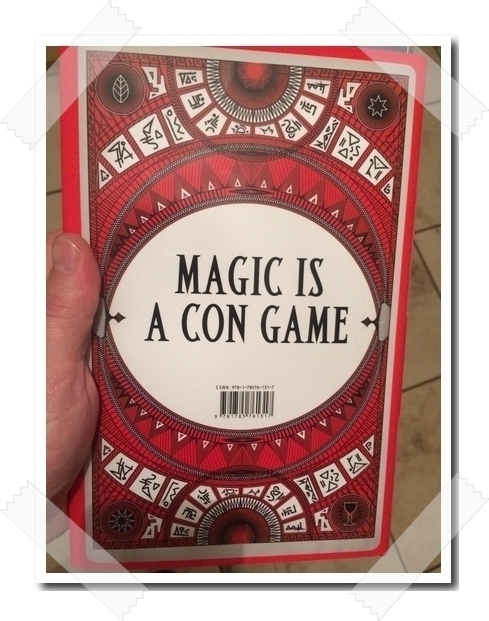 As Kellen tries to walk the fine line of faking it and still somehow passing the trials, his efforts at strengthening his connection to the six foundations of magic brings him into contact with a couple of very interesting characters, that for me, stole the show. First up we have Ferius Parfax, a card wielding Argosi wanderer with very strong opinions and interesting thoughts. Though many believe her to be a spy for the Daroman King, Kellan soon befriends her and is better off for it. The second is of course a Nekhek. Nekhek. The word meant ‘herald of the darkness’. A creature so foul it was said to be the Mahdek’s favourite weapon against my people, its bite stealing our magic and poisoning our spirits. Suffice it to say, that Nekhek are not what the Jan’Tep believe them to be. Evil demons? No. Violent, bloodthirsty, foul-mouthed creatures with a very interesting sense of humour and a penchant for stealing? Most definitely. Sign me up for more straight away. PS: If you are still not convinced, but agree that Xmen (Gambit) & Codex Alera (Tavi) & Guardians of the Galaxy (Rocket) all mixed into an exciting new fantasy story sounds great then you are in for one helluva ride! It was released earlier this year, May 2017, and the sequel, Shadowblack has just been released this week. 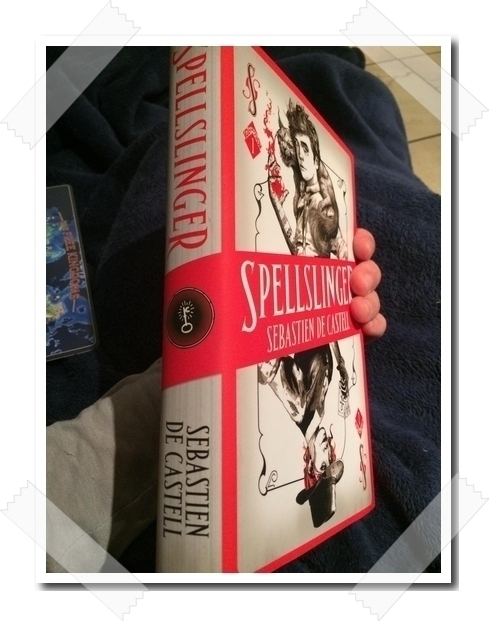 It is a great, fun read and of course, it’s Sebastien de Castell, so you know it’s awesome!